Item Number: 266-7-104 17915 Actual Weight: 0.1 lb. 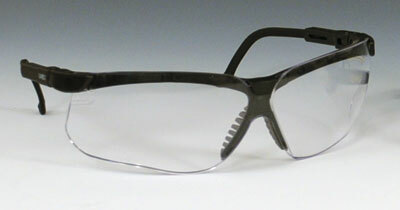 Great for a wide variety of businesses and industries needing eye protection. Genesis XC has wraparound lenses to provide peripheral vision protection. Flexible nosepiece adjusts and can conform to any nasal profile. Meets ANSI Z87+ standards and meets military V0 ballistic test for impact.